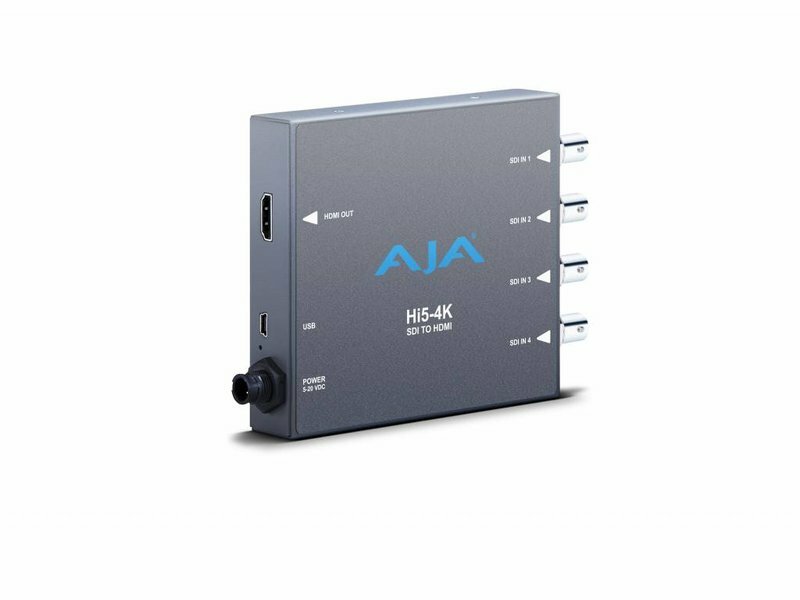 AJA's Hi5-4K Mini-Converter provides a simple monitoring connection from professional 4K devices using 4 SDI outputs to new displays with 4K-capable HDMI inputs. 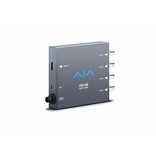 Hi5-4K is a single, highly-portable device that allows more affordable monitoring solutions in professional workflows. The latest generation of affordable 4K monitors utilize an HDMI connection, which allows a full 4K signal to be passed over a single cable. Typical professional 4K workflows use four SDI cables to carry the full resolution image, making it difficult to incorporate these newer monitors. Hi5-4K is an easy-to-use converter that bridges the gap between these two worlds for seamless integration. Typical 4K signals use a resolution of 4096x2160 pixels while UltraHD signals measure 3840x2160. This difference can prevent some monitors from being used either in full 4K workflows or in UltraHD workflows. Hi5-4K can compensate for these resolution differences, allowing UltraHD monitors to be used in 4K productions and vice versa. Hi5-4K also supports High Frame Rate (HFR) inputs. 4K/UHD signals at 50 or 60 fps can be fed into Hi5-4K and will be output via the 4K HDMI at 25 or 30 fps, allowing viewing of 4K HFR images on standard consumer 4K monitors. Not every job is a 4K job. When you're not working in 4K, Hi5-4K can still be a useful tool for converting HD-SDI to HDMI. 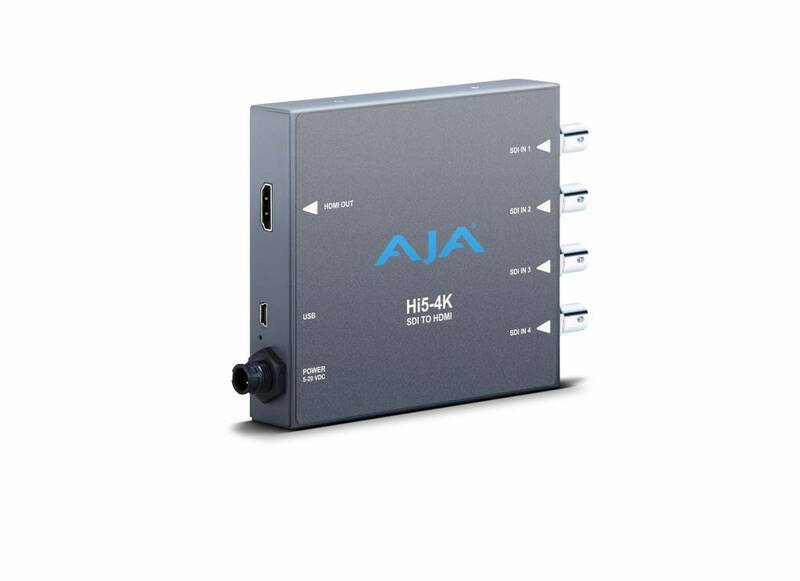 A single HD-SDI signal coming into the Hi5-4K will be sent out as an HD resolution HDMI signal, much like AJA's Hi5-3G Mini-Converter.